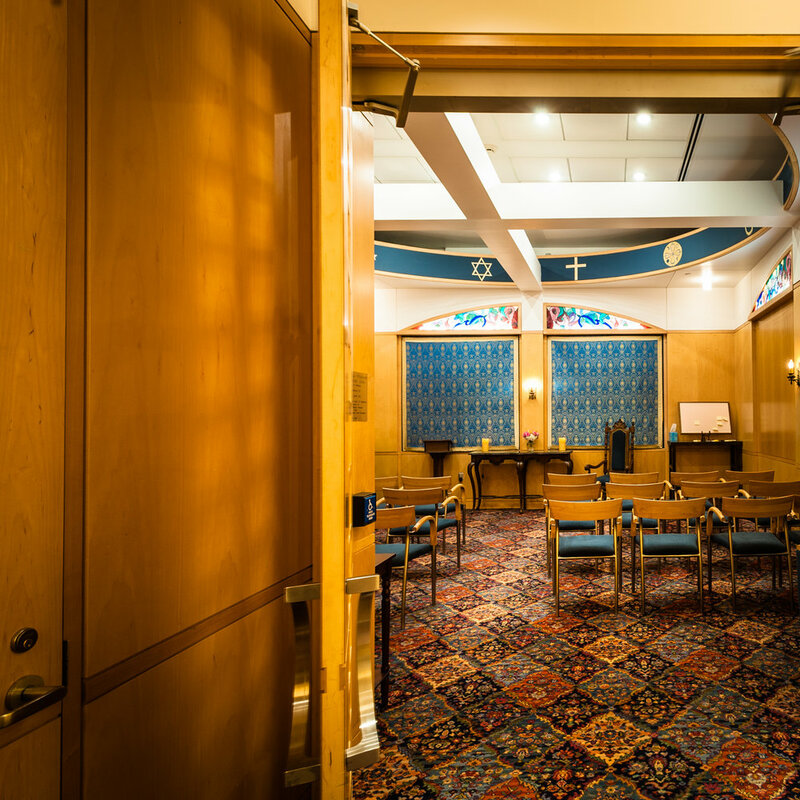 Brigham and Women’s Hospital has had a chapel since 1980, when it was formed through a merger of the Boston Hospital for Women, the Robert Breck Brigham Hospital, and the Peter Bent Brigham Hospital. Much of its history and vision came from the Peter Bent Brigham Hospital where William Leach, an Episcopal priest and full-time chaplain paid by the Episcopal Diocese of Massachusetts, started a strong chaplaincy program that transferred to the new merged Brigham and Women’s Hospital. William Leach helped create the chapel at the Brigham by working with an interior designer and others on a design. 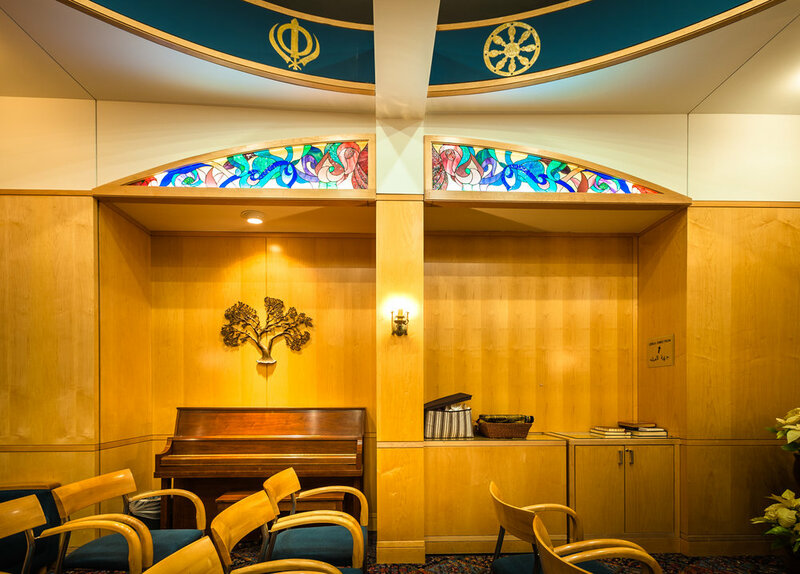 The resulting chapel was on the first floor and intended to be welcoming for people from a wide range of spiritual and religious backgrounds. Some of the funds to build it may have came from the U.S. Department of Health, Education and Welfare. The hospital also received a large donation for the chapel from Roger Cutler, a former director of development for the PBBH hospital and hospital trustee. This first chapel in the BWH was named the Elizabeth Louise Dieterich Cutler Memorial Chapel after Roger Cutler’s late wife (1921-1971). It was publicly dedicated in October 1981 and consecrated in December 1981 by Bishop Lawrence. Before construction was complete, the first service was held in the chapel amidst bare walls, concrete floors, and stark lighting to bless the distribution of bibles donated for all patient beds by the Gideon Society. The chapel was renovated several years later and then again in 2000 when it was moved to its current location. Stained glass windows from the first two chapels were moved to the current chapel. 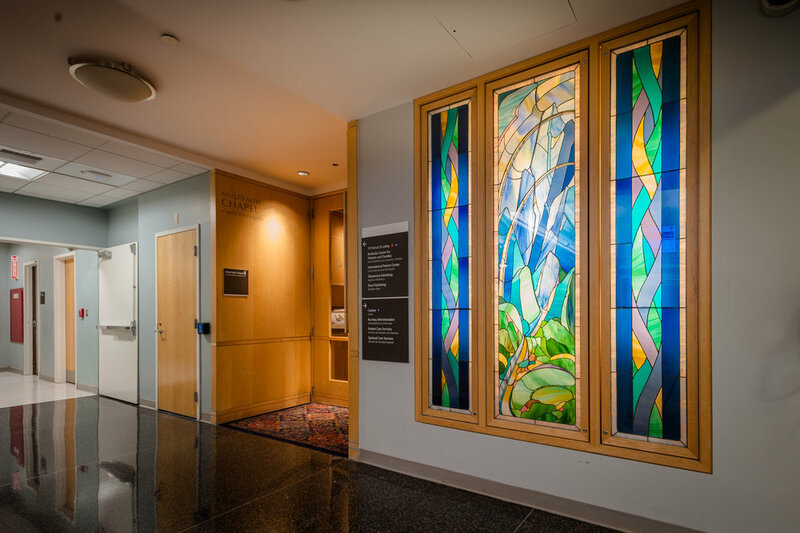 Additional stained glass windows inside the chapel titled “Compassionate Souls” were designed by Kristin Mackay and dedicated in 2004 in memory of long time BWH nurse Lisa Marie Groebl. A sign and map were added indicating that Muslim prayer services take place on Fridays in a nearby building. 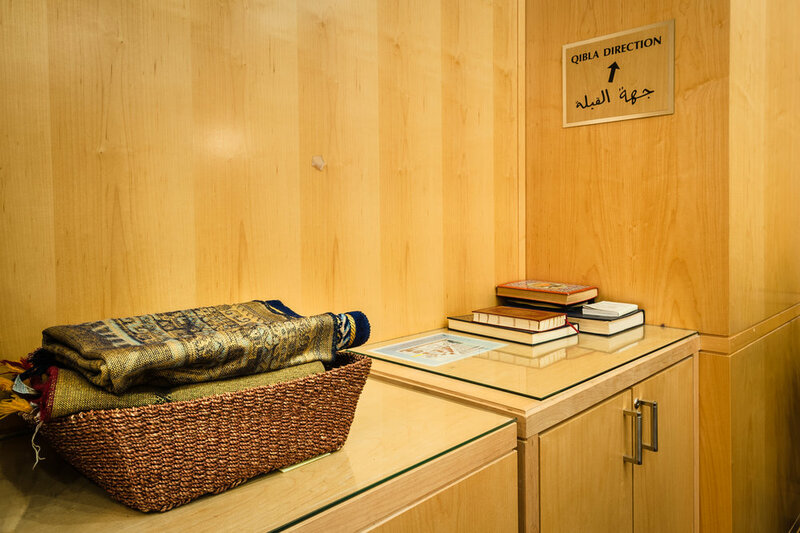 A closet next to the chapel houses a tabernacle containing items required for communion in the Catholic and Episcopal traditions.